The 2016 Monster Energy AMA Supercross Series is in the books and the season finale at Sam Boyd Stadium in Las Vegas was a wild one, mostly because of the weather. Heavy rain during the day, which was so bad that the second round of qualifying had to be called off, and just when it looked as though the night would be salvageable after the sun had later come out, it rained again, making the final race of the year a mudder. On the line at Vegas were both the 250SX East and West titles, and with this year’s Dave Coombs Sr. East/West Shootout for the first time offering points towards the championship, the muddy track could have played an outcome in the championship results, but both leaders—Cooper Webb in the West and Malcolm Stewart in the East—held on to win their respectively divisions for the season. But neither rider came away with the win on the night, instead, it went to Monster Energy/Pro Circuit/Kawasaki’s Joey Savatgy. Savatgy, who trailed Webb by 16 points going into the final, did what he had to do and that was get the holeshot and then hope for the best. Webb, who was riding with a broken wrist suffered a few weeks earlier, was mired back in the pack. 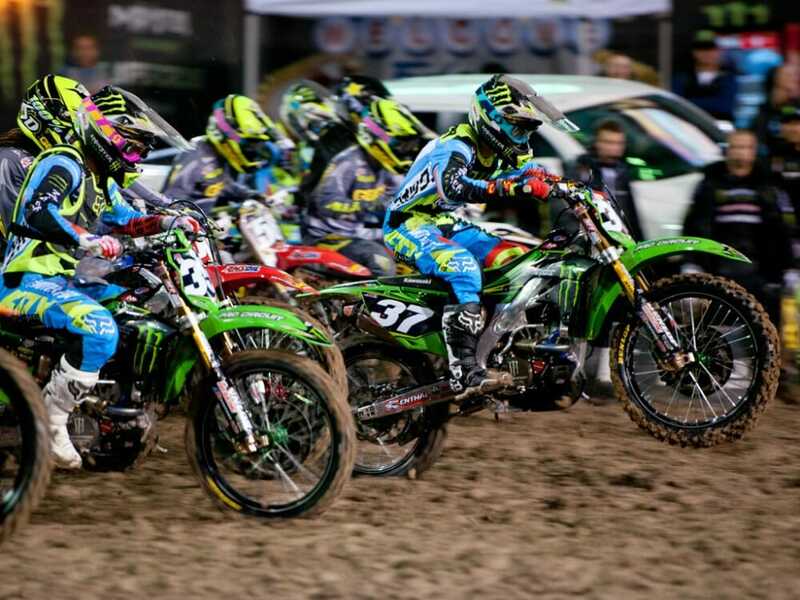 To clinch the title no matter how Savatgy placed was 12th, and he was running 12th after the first lap. With the bad wrist and the muddy conditions, Webb was struggling to make up ground. He got as high as 11th at one point, then dropped back to 12th again, while Savatgy led up front, but Colt Nichols was giving him some grief before Savatgy settled in and checked out. All eyes were fixed on Webb who was doing just enough to keep that number-one plate. He inherited 11th when another rider ahead of him went down in the mud, which is where he would end up finishing, sealing the 2016 number-one West plate with one point to spare over Savatgy. Rockstar Energy Husqvarna’s Zach Osborne finished six seconds behind Savatgy in second, while Stewart rode a smart and consistent race to finish third and wrap up the 250SX East title. 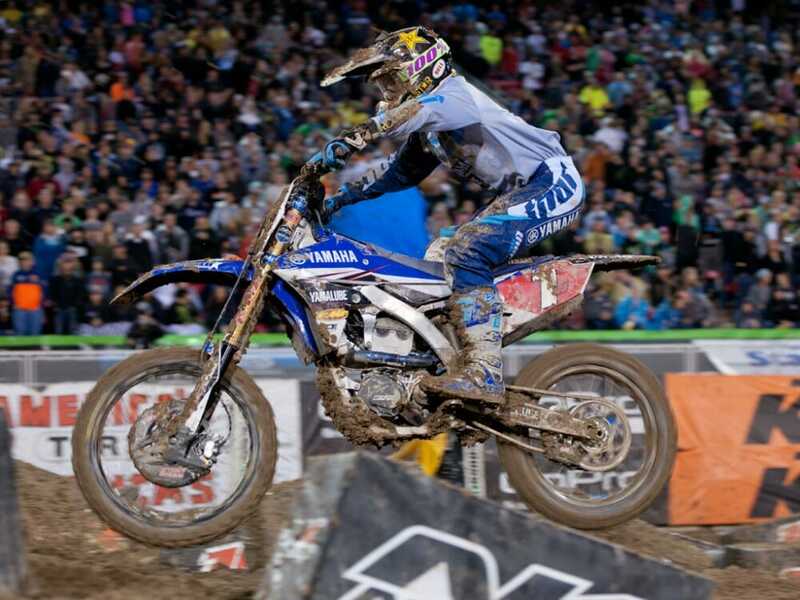 He led Aaron Plessinger by 14 points going into the race, and Plessinger finished right behind Stewart in fourth. Stewart finished out the season with 180 points to Plessinger’s 164. It was Stewart’s first major championship and he shared it on the podium with his older brother, James Stewart. Third in the championship went to Jeremy Martin who went down in the first turn in Vegas. In the West Championship, GEICO Honda’s Christian Craig ended up third, seven points behind Plessinger and 15 points ahead of Osborne.